Long ago, when Blogger blog owners were given the option to associate their Blogger account with Google+, some would try out their new identities - then change their minds. Some blog owners would upgrade to a dynamic, exciting Google+ profile - then regret their decision. Not everybody appreciated the features offered by Google+, as applied to a Blogger blog. Blogger gave us the ability to revert to a Blogger profile - within 30 days. This did not help people who took over 30 days to observe problems. 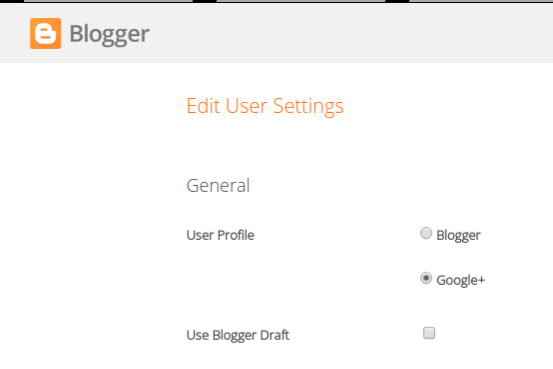 Recently, Blogger Engineering improved our ability to choose a Blogger or Google+ profile, for our Blogger accounts. You can choose either your Blogger or Google+ profile, as desired. You can select either a Blogger or Google+ profile, when it's convenient. You use the "User settings" dashboard page, to select your Blogger or Google+ profile - when you have both profiles associated with your Blogger account. Use the dashboard menu - or bookmark a shortcut. Just use "User settings", from the dashboard Settings page. Start from the dashboard menu, and select Settings - "User settings". 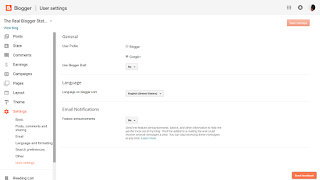 Now, you can select either a Blogger or Google+ profile, as convenient. 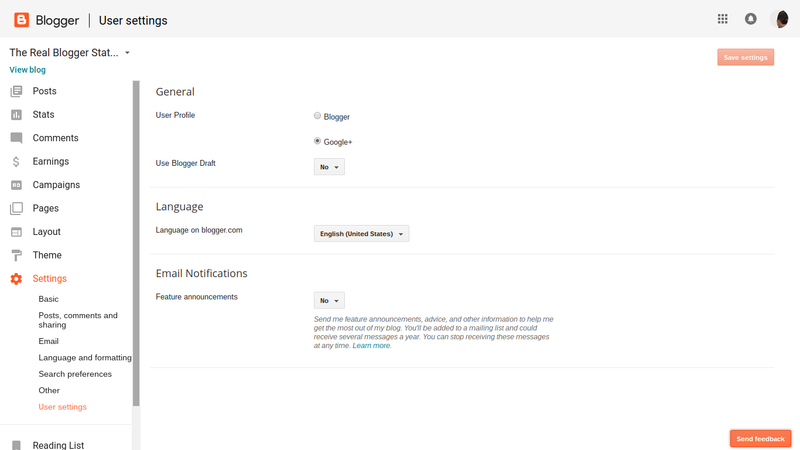 If your Blogger account has both a Blogger and Google+ profile, you can simply select one or the other, as convenient. Some Blogger features are based on the profile used by the blog owner, so consider the selection carefully - but the selection is at least available. #Blogger blog owners, who have Blogger accounts associated with both Blogger and Google+ profiles, can now switch between one and the other, as convenient. Consider the change, carefully - but make the change, when necessary. Question: If I switch to my Google + profile, what happens to all my Blogger followers? And what happens to all the blogs I have in my blogger reading list?